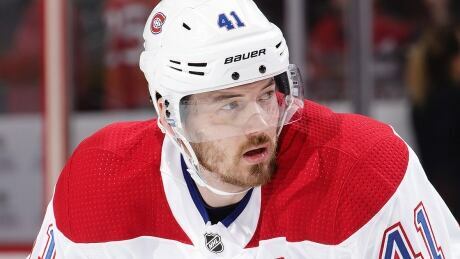 Paul Byron's availability for the Montreal Canadiens' visit to Columbus on Friday is up in the air following a hit on Tuesday night that caught the eye of the National Hockey League. The veteran forward will have a telephone hearing with the league Wednesday to discuss his charging penalty against Florida Panthers defenceman MacKenzie Weegar that put the second-year NHLer in concussion protocol. At 3:40 of the second period, Weegar's head appeared to be the principle point of contact by Byron, who seems to leave his feet on the hit. Following his team's 5-1 loss, Panthers head coach Bob Boughner told the Miami Herald he believed Byron got off lightly with a two-minute penalty and would let the league take care of further discipline. "I thought we should've had the five-minute power play there," Boughner said. "In my mind, at least, [Byron] left his feet. There's some intent to injure. So we'll let the league take care of that and see what they think." The 29-year-old Byron, whom the NHL has never suspended, has 10 goals and 18 points in 34 games this season while recording just six minutes in penalties.